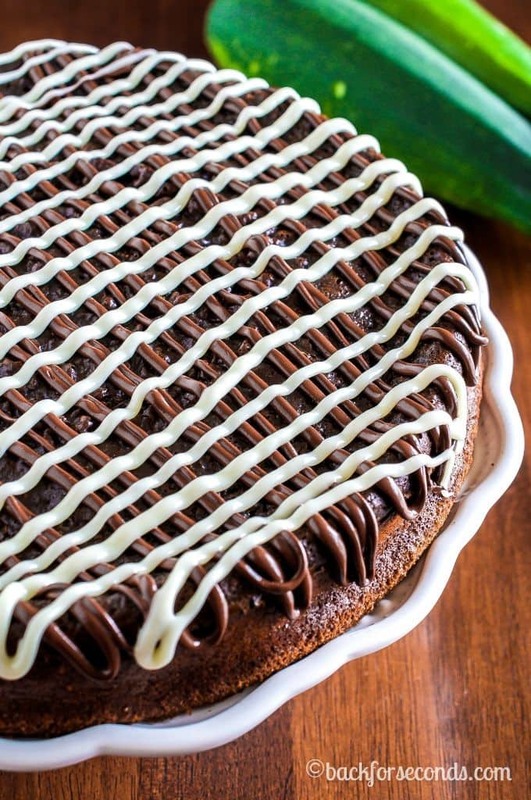 Moist and fudgy Triple Chocolate Banana Zucchini Cake is made without oil or butter and is shockingly delicious! 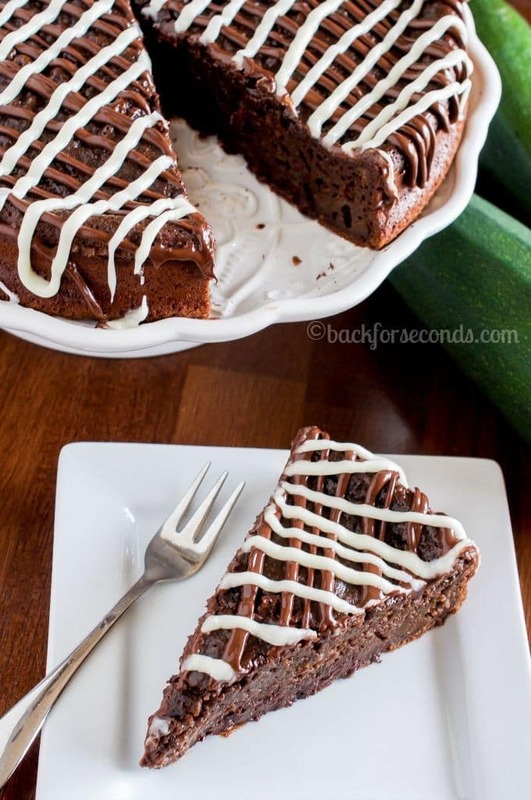 I can’t think of a better use for the zucchini in your garden! This cake is full of fruit, veggies, and has no butter or oil, but you would never know it! It is rich and decadent and will delight your tastebuds – no doubt! Ok, can we please call this health food? I mean, it’s made with banana, zucchini, Greek yogurt, milk, and eggs – all healthy and good for you!! 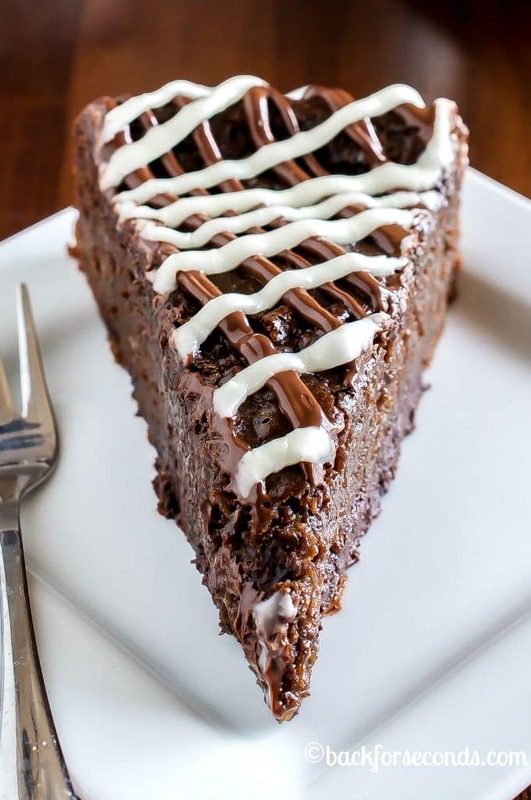 The chocolate chips inside the cake and the chocolate drizzle on top is completely optional. It’s seriously scrumptious without them…but how could you resist?! 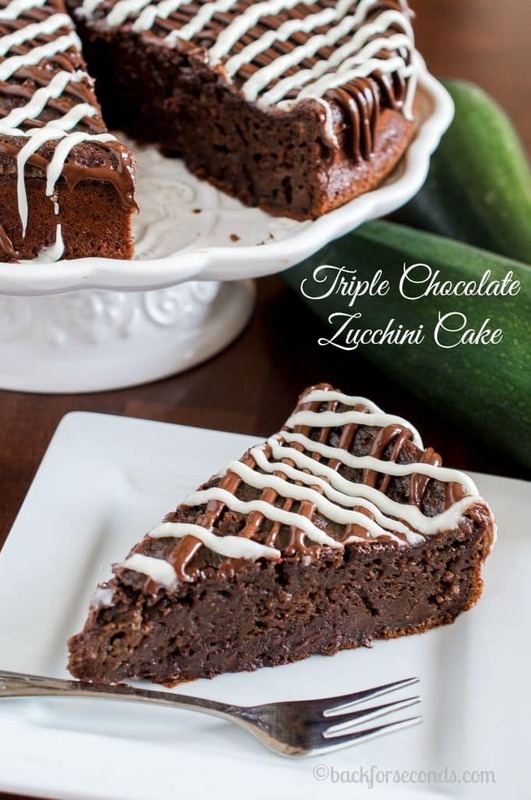 So, if your garden is overflowing with zucchini this summer, save this recipe! You will be glad you did 🙂 Enjoy! has anyone done the calorie count work for us?